Middlesex all-rounder Ollie Rayner has signed a two-year extension to his contract, which will keep him at the club until the end of 2016. The 28-year-old off-spinner moved to Lord's from Sussex at the end of the 2011 campaign after a spell on loan. Middlesex managing director of cricket Angus Fraser said: "Ollie is developing into a fine cricketer. "He offers the team something with ball and bat, and his slip catching is as good as any I have seen at the club." Rayner has scored over 1,200 runs in all forms of cricket for Middlesex, as well as taking over 100 wickets and 60 catches. Last season he took 41 County Championship wickets at an average of 23.36, including taking career-best match figures of 15-118 against Surrey, and scored 293 runs at 19.53. 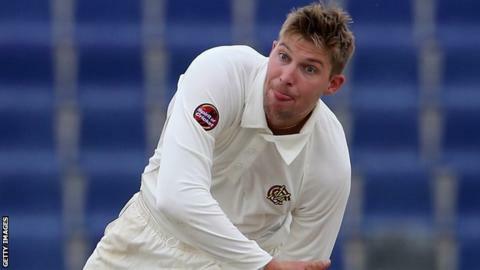 The German-born right-hander featured twice for the England Lions on their tour of Sri Lanka in February. "The encouraging thing is that there is still plenty of room for further improvement," Fraser added. "I am delighted Ollie will be with us for at least another three seasons and believe that he can play a leading role in the club making further progress and challenging for silverware."